4. Which of the following drug functions as a CNS depressant? 5. Which of the following is a hallucinogen? 12. Which of the following is a matching pair? 13. 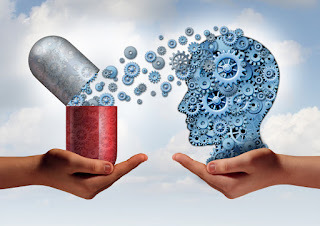 Which one is correct statement about psychotropic drug? 14. Which of the following drug has the highest potential for physical dependence? 17. Which of the following is the most dependence-producing derivative of opium? 19. Which of the following is known to cause disulfiram-ethanol like reaction? 20. Which of the following is NOT a cannabis preparation? 22. Which of the following term is NOT used in ICD-10 classification on substance use disorders? 23. Which of the following investigation is related to diagnosis of alcohol dependence? 24. Which of the following instrument is used for alcohol dependence screening? 28. Which of the following is NOT a contraindication for use of disulfiram? 29. Which of the following is an anti-craving agent used in the management of alcohol dependence syndrome? 2. Bhatti K. Dinesh Companion to Biology. S. Dinesh & Co. New Delhi, 2009.